David R. Rothfeld leads the firm’s Labor and Employment Law practice group, specializing in the representation of management in all phases of labor and employment law. For those unionized clients, Mr. Rothfeld offers expertise in negotiating collective bargaining agreements, representation at grievance and arbitration proceedings and advice on contract interpretation and compliance. Mr. Rothfeld has also represented employers before the National Labor Relations Board, including judicial enforcement proceedings, and in representation of unfair labor practice proceedings. Mr. Rothfeld provides counsel to all clients on a wide range of employment issues, encompassing compliance with applicable local, state and federal employment discrimination, labor, wage-hour and employee benefits laws and regulations. Mr. Rothfeld also represents management in employment discrimination and labor relations litigation in state and federal courts and before state, federal and local administrative agencies. He has conducted seminars for employers, industry groups and trade associations on the Americans with Disabilities Act, sexual and other forms of harassment and current workplace issues such as employee discipline, employee privacy and workplace violence. Mr. Rothfeld serves as counsel to Taft-Hartley Pension and Welfare Funds as well. Mr. Rothfeld represents clients in a myriad of different businesses, with a concentration in the hospitality field, including hotels, restaurants, clubs, catering and gaming facilities. He also represents employers in other industries such as real estate, manufacturing, service industries, schools and not-for-profit organizations. 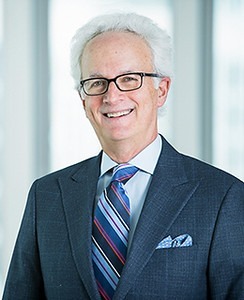 Mr. Rothfeld is a board member of the Cornell Institute for Hospitality and Labor Relations, and is a frequent participant at Cornell University’s School of Hotel Administration as well as the Law School’s Labor and Employment Law Round Table. He has been selected by his peers to be included in the 22nd edition of The Best Lawyers in America in the practice areas of Employment Law, Management and Labor Law and Management. He has also been selected as a “Super Lawyer” for the New York Metropolitan area. Negotiated renewal collective bargaining agreements in Chicago and Washington, D.C.